Ok, yes, this title is a play on the Tyga song “Rack City,” but I thought it was clever and I’m going with it. 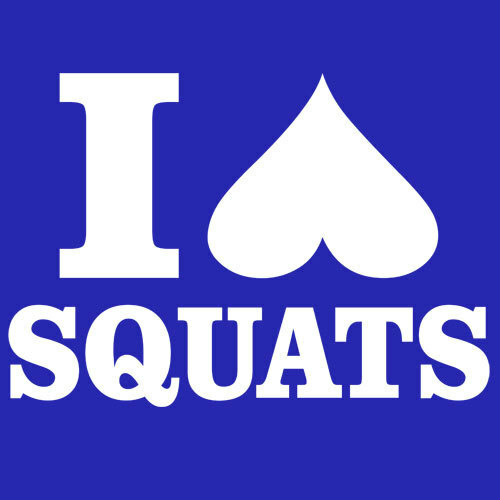 As you may have read in my birthday workout post, I have recently graduated from doing squats with the Smith Machine (which is nothing to scoff at, but in the workout world I hear they aren’t considered the “real deal”) and put my big girl pants on to mosey over to the power rack (which is like, legit squatting). So Monday (my birthday) I did a few sets of squats at the power rack, using (2)10lb plates on each side…so altogether, about 80lbs with the bar. I was mainly trying to focus on good form since, without the gliding track that the Smith Machine provides, you can really hurt yourself if you don’t have everything in the right place. Tuesday I did back and biceps, and Wednesday I did triceps, cardio and abs, so when I woke up this morning I was itching to do some more leg workouts (I love working legs, in case you can’t tell). I woke up nice and early this morning, stopped by Starbucks for a grande blonde roast with cream and sugar (no fake stuff for me…if I’m gonna drink coffee, I want the real deal), and I headed to the gym. Before starting my first set, I walked over to one of the guys that was watching me set up. I’d seen him squatting in the gym before and noticed he had good form. And I told him that I recently “graduated” from the Smith Machine and am focusing on getting my form right on the power rack before increasing weight and wondered if he would mind coming over for my first set to give me feedback on my form. Of course, he said yes, and he came over and watched me do my first set of 10 reps. His only critique was that I could lift my head up just a tad to keep it in line with my spine. I was being extra cautious not to hyper-extend my neck, as I’ve read that’s a big no-no, so I think I was overestimating how much to keep my head down for it to be in neutral position. For positive feedback, he said he was very impressed that I kept didn’t let my knees bow in, that I didn’t let my knees go past my toes, and that I was able to get great squat depth. He also commended the nice shelf I created for the bar with my traps and that I didn’t use the sissy pad (woo-hoo Tara would be proud ;)). After I finished the rest of my workout, I stopped back over to my “squat supervisor” and thanked him for taking time to come make sure I was doing things right. He said that he was impressed to see a girl using the power rack, and even more impressed that I could put my ego aside and actually request criticism. He told me that while I was doing some ab work in the back of the room, another guy who had been watching me ask for feedback came over to him and asked him to give him feedback too. It was great to see even the manliest men put aside their egos and make sure their form is proper. It makes all the difference in being able to gain strength without injuring yourself, and if I was able to inspire someone to ask for help, then that’s great! “The strong individual is the one who asks for help when [s]he needs it.” – Rona Barrett, columnist and businesswoman. Exercise – It’s for EVERYbody but it benefits MORE than just your body! A recent discussion with a friend of mine, who is recently getting back on track with making fitness a priority, prompted me to write about the mental health benefits of exercise. You see, my friend had been having difficulty getting back on track amidst running her business, recently giving birth to a new baby, raising her two other kids, and keeping a home together. She was worried about making time to workout, what if her body didn’t respond to exercise the way it once did b.b. (before babies), etc. As her friend, it was hard for me to watch her struggle…she has been stressed out and a little down lately, and I know from my own experience that, regardless of the physical benefits that she’d reap from regular sweat sessions, exercising would really boost her mood and be a great stress outlet. One of the most common mental benefits of exercise is stress relief. When we work up a sweat, our body increases its concentration of norepinephrine, a chemical that can decrease the brain’s response to stress. In addition to releasing chemicals that help us deal with stress, exercise also releases endorphins, which create feelings of happiness and euphoria. 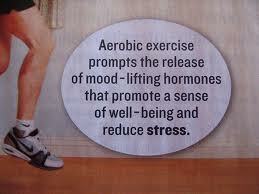 Studies have shown that exercise can even alleviate symptoms among those who are clinically depressed. 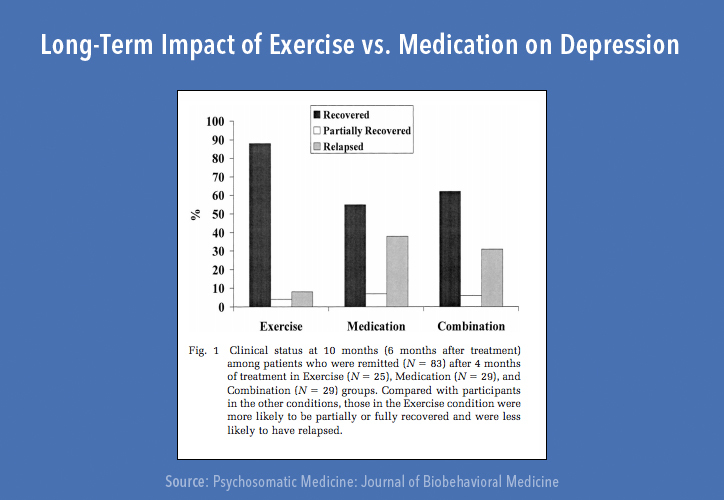 In some cases, exercise can even be as effective as antidepressant pills in treating depression. And it doesn’t have to be pumping iron or sprinting on the treadmill at a gym…go for a walk, a hike, rollerskating, etc for just 30 minutes a few times a week and you can instantly boost overall mood. You might be surprised to know that a 20 minute jog is actually better at alleviating anxiety than a warm bubble bath. During (and after!) a sweat sesh, the brain releases chemicals that help us calm down, and doing moderate-to-high intensity aerobic exercise (interval training, anyone?) can reduce anxiety sensitivity. This one is awesome…Several studies on both mice and humans have shown that cardiovascular exercise can stimulate the creation of new brain cells (for my science geeks, this is known as neurogenesis) and improve overall brain performance. Research also suggests that higher intensity workouts increase levels of a brain-derived protein (known as BDNF) in the body, believed to help with decision making, higher thinking and learning. 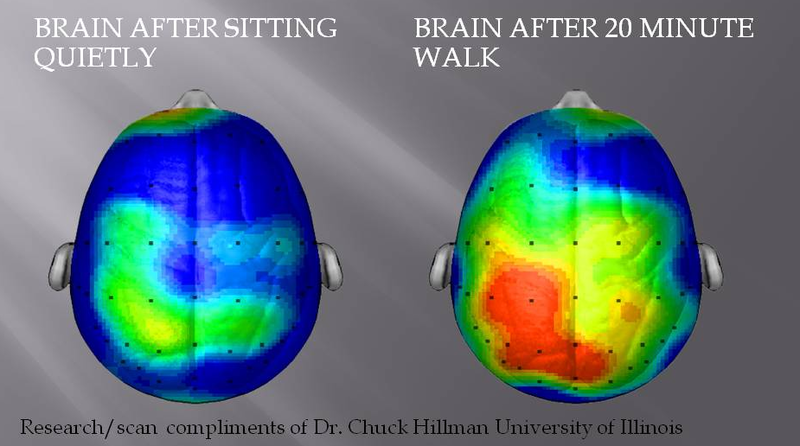 Regular physical activity boosts memory and our ability to learn new things. Getting sweaty increases production of cells in the hippocampus—the part of our brain which is responsible for memory and learning. I talked to my friend about some of these and she finally just bit the bullet and hit the gym for the first time in a while…and she said she felt immediate results. She told me she felt less stressed, more in-control, and her overall mood was just better. Hooray!